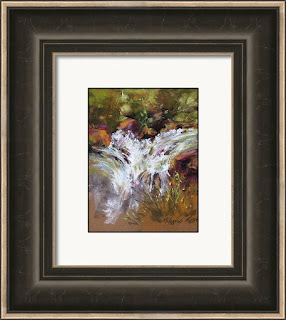 I love to paint the action packed waterfalls, and somehow it looks better (for me) if the artist memorizes a scene and lets a little imagination play into the painting. 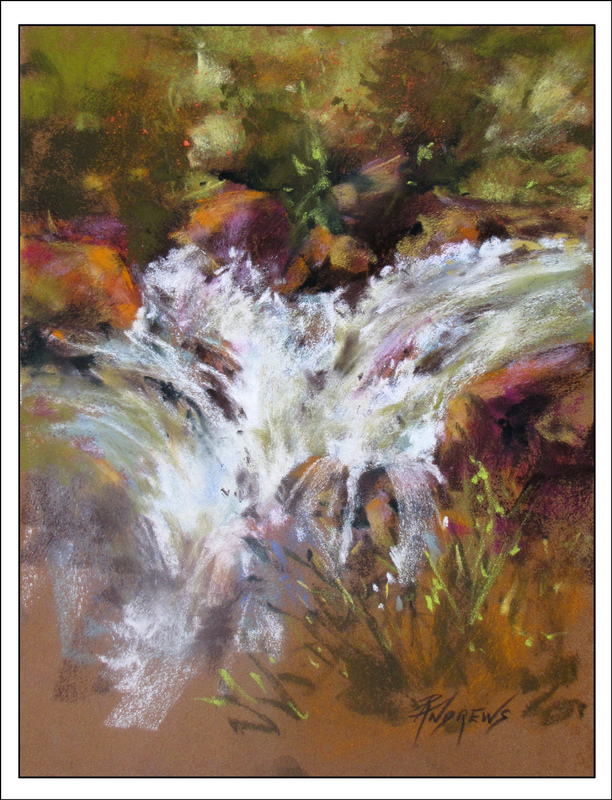 After all the water is constantly moving, so studying it and watching how it falls will help when you paint it. It will make the artist really concentrate on the movement of the water, storing that little personal video in the head for later use. This pastel is on a tan colored Sennelier sanded paper, it's all pure pastel, no underpainting. I prefer my pastels to be done this way. 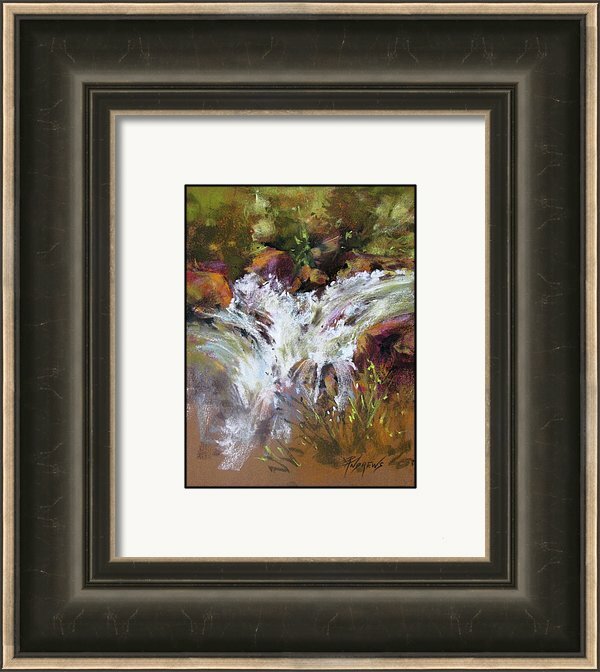 Image size is 9" x 12" unframed.